Will Crazy Rich Asians' Success in the US Translate in China? Adapted from Kevin Kwan’s 2013 novel of the same name, Crazy Rich Asians was this summer’s surprise box office smash hit in North America, earning praises for being the first Hollywood studio production to feature a predominantly Asian cast since 1993’s Joy Luck Club. Just two months after its debut, the film already became the US’s top grossing romantic comedy in a decade (sixth highest of all-time), cashing in nearly USD174 million domestically as of mid-November. As the film gears up for its theatrical release on the Chinese mainland, we speak with a couple of Chinese pop culture and history experts about the impact Crazy Rich Asians has had in the West, and whether that will translate to audiences in China. It’s a Cinderella story as old as time. 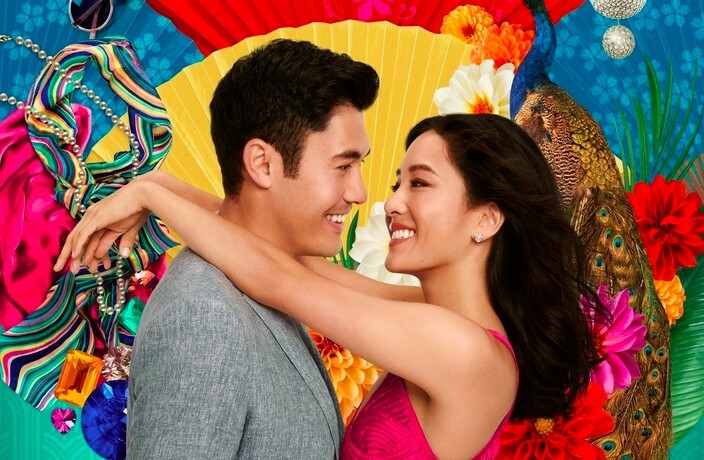 Rachel Chu (Constance Wu), a young American-born Chinese NYU professor, travels to Singapore with her longtime boyfriend Nick Young (Henry Golding) for his cousin’s wedding and to meet the family, only to discover they’re one of the wealthiest clans of the island nation. From then on, the movie is a visual feast that combines all the typical rom-com trappings, along with a healthy dose of family drama. Filled with conflicts fueled by generational, cultural and socioeconomic differences, scenes are spiced up with a generous sprinkle of Singapore’s dazzling modern cityscape and the fabulous lifestyles of the ultra-rich. Constance Wu as Rachel Chu. Image via IMDb. But what makes Crazy Rich Asians stand out from other rom-coms, for scholars like University of Wisconsin-Madison’s Professor Shelly Chan, is the novelty factor of its ‘authentic cultural content’ that can only be achieved with a predominantly Western-born Asian cast and crew. The Hong Kong-born Canadian historian specializing in Chinese diaspora (people of Chinese descent who live outside of Greater China) is particularly interested in the film’s discussions around the impact of the mass Chinese overseas migration during the 19th and 20th centuries. “Some of the conflicts stem from the polarization of Chinese identity and culture as a result of these departures and the subsequent returns of these immigrants (and their descendants),” Chan tells me. Throughout most of the film, Rachel, an outsider born and raised in the US, finds it difficult to win the approval of Nick’s Singaporean-Chinese elders – namely his mother Eleanor (Michelle Yeoh) – who are portrayed as the guardians of traditional culture and family values. While only scratching the surface of the issue, the inner struggles of Asian American cultural identity are put out into the open by Crazy Rich Asians through the lens of its female protagonist. A fabulous wedding banquet. Image via IMDb. Which begs the question – will a film that’s largely based on the complexity of Westernized Chinese identity be a hit in China? When Song Geng saw Crazy Rich Asians in Hong Kong over the summer, there were only about a dozen people in the movie theater. The much-hyped romantic comedy is the city’s 23rd highest grossing film of 2018 thus far, according to Box Office Mojo, earning just around USD2 million between late August and mid-October – a meager showing considering the movie’s critical and commercial triumph in North America. Song, an associate professor at University of Hong Kong’s School of Chinese Studies, personally enjoyed the movie. Having written extensively about the portrayal of Asian men in mainstream media and pop culture, he praises the film for creating nuanced and multi-layered characters for the actors and actresses to play. However, he’s not very optimistic about its box office earnings on the Chinese mainland. “My first impression of Crazy Rich Asians was that it’s a film about Chinese people, but China is basically absent in this world. I think many mainland Chinese audiences might find it hard to identify with these characters. It’s quite an awkward position to be in (for the film),” Song says. The lack of big name cast members, coupled with the fact that it isn’t a big budget action hero flick that normally performs well here, he adds, might further hinder its success in the Middle Kingdom. Elsewhere in Asia, Crazy Rich Asians also drew some criticisms after its release. While it scored points for promoting racial diversity in Hollywood, Singaporean audiences accused the film of doing the exact opposite with its representation of their country – where the film is set – by focusing on just its Chinese residents and virtually ignoring the Malay and Indian ethnic groups who make up nearly a quarter of the country’s total population. Eleanor (Michelle Yeoh, left) chats with her son Nick (Henry Golding) and Rachel. Image via IMDb. But perhaps another telling sign of whether the film would be well-received in China can be found on Douban, the Chinese version of Rotten Tomatoes, where the film received an average rating of 3.5 stars and nearly 8,600 reviews before it even officially came out in theaters. One of the most popular reviews came from user ‘yvetterowe,’ who expressed her disapproval of the film, calling it a “General Tso’s chicken-style film about Asians” and signing off with an eye-rolling emoji. Cover image via IMDb. Find out more about Crazy Rich Asians here. Don't miss out on these Chinese-language musicals coming to Shanghai in 2019!